Update 4.30pm: The President of the Association of Garda Sergeants and Inspectors’ (AGSI) has defended its handling of an allegation made against one of its members. It is understood the Garda in question is accused of engaging in security work in their spare time, which is not permitted. Two senior members of the association have chosen to boycott their annual conference this week following the revelations. President of the AGSI Cormac Moylan says the association acted on legal advice after the matter was raised with them. “Based on that legal advice we advised the person who was making the allegation to go to the correct forum, that that was not something for the AGSI to investigate,” said Garda Moylan. “Due process has to take place and that is the advice that we have gotten. Update 12.45pm: The Association of Garda Sergeants and Inspectors’ (AGSI) annual conference may get underway today without two of its senior members. It follows an allegation made against a member of the association which represents more than 2,000 mid-ranking Gardaí. 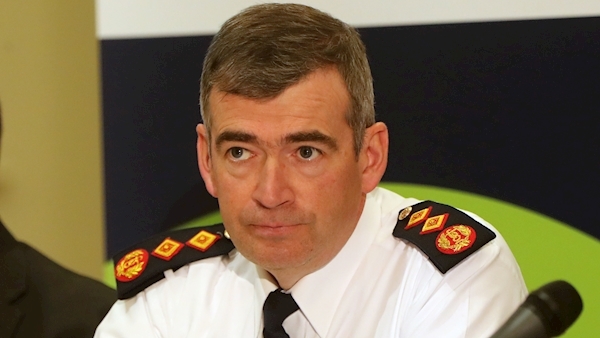 Among the issues on the agenda at the annual conference of the AGSI is a call on the Garda Commissioner Drew Harris to clarify the role of gardaí at evictions. Members from the Roscommon division are to ask Commissioner Harris to publish a policy document so that they and the public are clear on the rules when called in by a sheriff carrying out an eviction. It follows the highly-publicised eviction of a family from their home in Strokestown, Co. Roscommon, in December. The conference has already been overshadowed by confirmation that an AGSI member is under investigation after an allegation was made against them by way of a protected disclosure. The AGSI said the allegation relates to the Garda’s employment and it is understood that it surrounds an accusation that they engaged in security work in their spare time, which is not permitted. The association has confirmed that two of its senior members may not attend their annual conference which gets underway in Cavan today following the revelations.